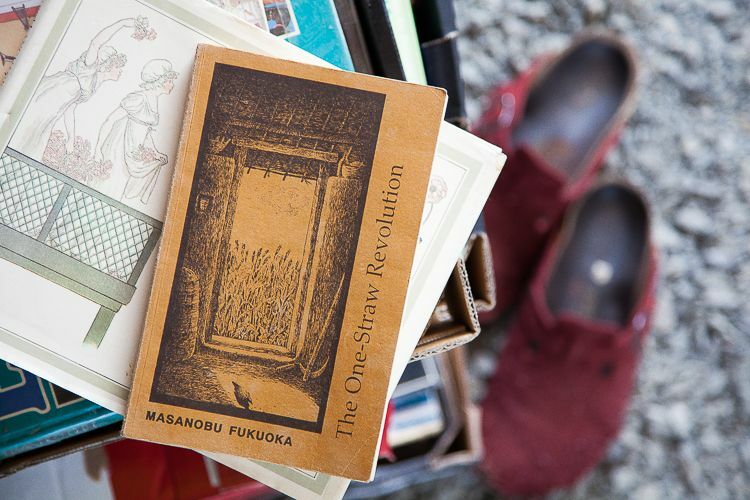 As I pack my book shelf in preparation for our move to Eganstown I came across Masanobu Fukuoka’s book “The one straw revolution” and began to read it. Over four days the read felt like a meditation. Masanobu’s words had a calming effect and a questioning one. Why have so many farmers moved away from collaborating with nature? Why did we stop incorporating organic matter into our fields? Why did we stop recycling animal manures? And why in light of the knowledge we have on how to use human sewage waste correctly, do we stock pile it far away from hungry fields? Well as it turns out, sometimes science takes us on a circular path. I decided to take a quick glimpse, before writing this post, at the Melbourne Water website to see if any large scale recycling of human sewage waste for farm use was been contemplated and found that “today (C2) classified biosolids – resulting from cleaner sewage discharges in recent years, are treated to a T1 grade and are suitable for forestry and farming”. So I emailed Melbourne Water to find out more. Were there any farms in Victoria, currently using their T1 grade biosolids and if so, which ones? But for now back to Masanobu as it was his book that sent me off thinking about all things related to natural farming. As many of you will know, Masanobu is (was) a Japanese farmer who had for many years worked as a microbiologist. In “The one straw revolution”, Fukuoka details his natural farming experience. He explains that his microbiology training taught him to ask questions in the following way “How about trying this?” or “how about trying that?… and suggests that “bringing in a variety of techniques one upon the other… is modern agriculture, and it only results in making the farmer busier”. Instead as he journeys to develop a natural farming method he instructs himself to ask questions in a different way “How about not doing this [and]…that?” And he concludes that there is “no need to plough, no need to apply fertiliser, no need to make compost, no need to use insecticide…The reason that man’s improved techniques seem to be necessary” he explains, “is that the natural balance has been so badly upset beforehand by those same techniques”. I will not delve much further into quoting or paraphrasing the book because there are so many intelligent observations made through it that one must read it in its entirety to appreciate the splendour of his musings. Instead I will end with a lengthy summary of some of the principles/ideas/techniques he encourages us to contemplate. And to emphasise that Fukuoka tells us in his book to come up with our own methods, our own observations and our own understandings of the place where we live. His methods cannot be simply superimposed onto every landscape. Some of his ways will not work in Australia. 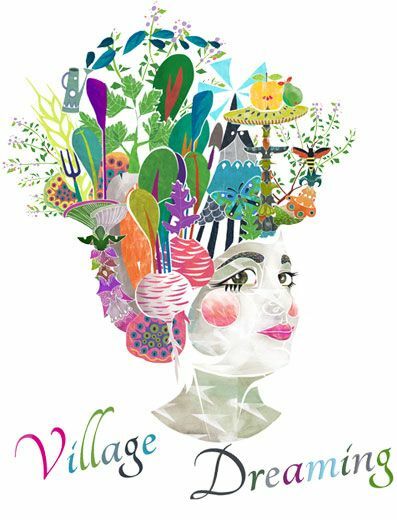 It is up to us to work out our own form of natural “do nothing farming”. I have written this summary for me. By writing things down I am more able to remember what I have read. And by sharing it with others I am able to engage in the kind of conversation that brings about another euphoric moment. Look at the whole: here he makes a point often raised in critique of modern science and that is “that the world is so specialised that it is impossible for people to grasp anything in its entirety”. His anecdotal tales, describe visiting scientists who marvel at his achievements but leave none the wiser from their visits, because they are looking at only one aspect of his work: spider population, or grain yield etc and not at the whole of his work. By separating out individual practises and implementing them in isolation the same results cannot be achieved. “Professor, since you are researching spiders, you are interested in only one among the many natural predators of the leaf-hopper. This year spiders appeared in great numbers, but last year it was toads. Before that, it was frogs that predominated. There are countless variations…methods of insect control which ignore the relationships among the insects themselves” he says, “are truly useless”. Cultivation disturbs the soil and allows weeds to germinate, as soon as cultivation is discontinued the number of weeds decreases sharply. Over about 7 years the initial clover planted disappears among the weeds so weeds need to be cut back using a scythe and more clover sown by direct seeding. Sow spring vegetables when winter weeds are dying back and just before the summer weeds have sprouted. White clover is useful in holding back weeds, if sown mixed with vegetable seeds, it will act as a living mulch. If various herbs and vegetables are mixed together and grown among the natural vegetation, damage by insects and diseases will be minimal. For me this is a time of new learning and reflection. As I slowly pack my home and garden, I wonder how long it will take me to come up with a form of natural farming that produces the kind of meditative tranquillity bestowed upon me over those four, Masanobu Fukuoka days.